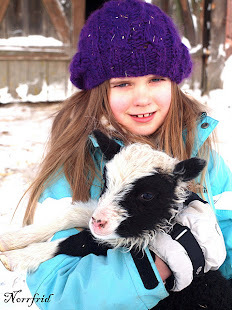 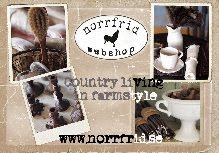 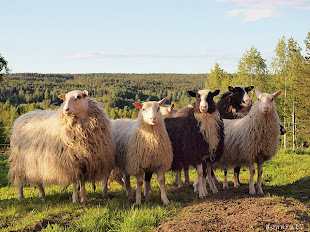 Our farm Norrfrid at Sollefteå, Ångermanland, situated in the northern parts of Sweden, is my greatest inspiration. 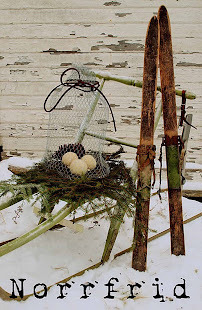 Here we have nature, the seasons and the northern calmness right outside the door. 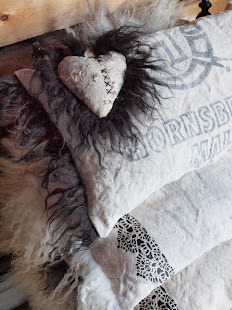 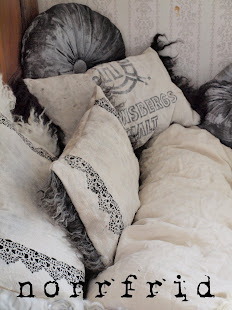 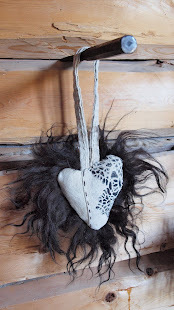 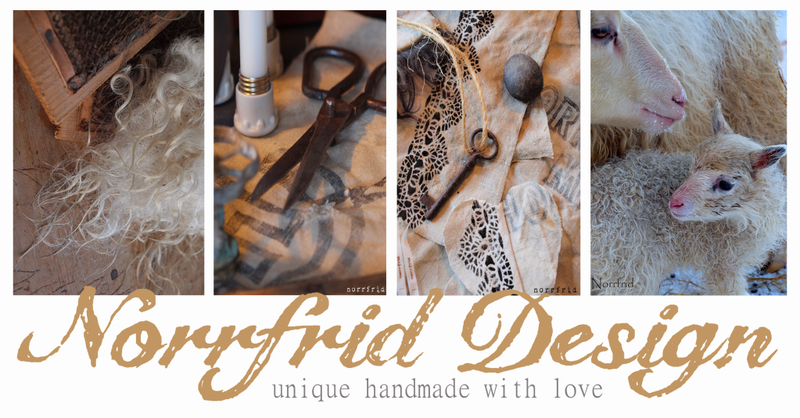 The material for my crafts can be found in first hand at the farm, old flour sacks in linen from the time when the farm was a prosperous farming is transformed into products such as pillows and linen hearts. 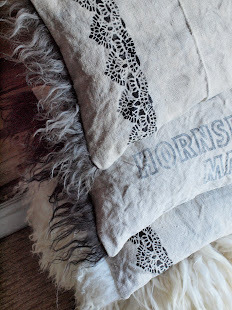 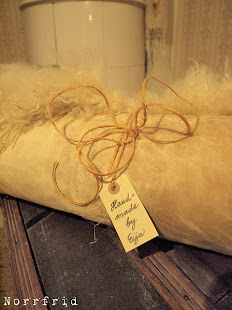 The linen is then combined with sheep wool curls from our own herd to a unique product, made by hand! 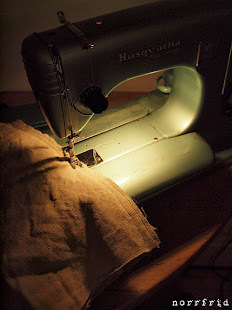 In addition, the linen sacks have natural wear, dirt - and rust stains that give a patina that cam´t be found in new material. 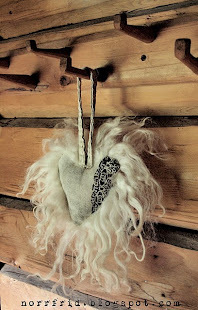 Holes and repairs belong to and contribute to the personality, it becomes a piece of the farm in craftmanship! 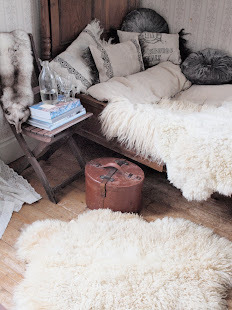 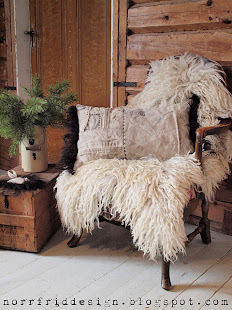 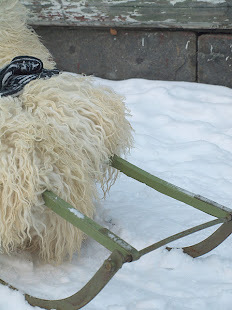 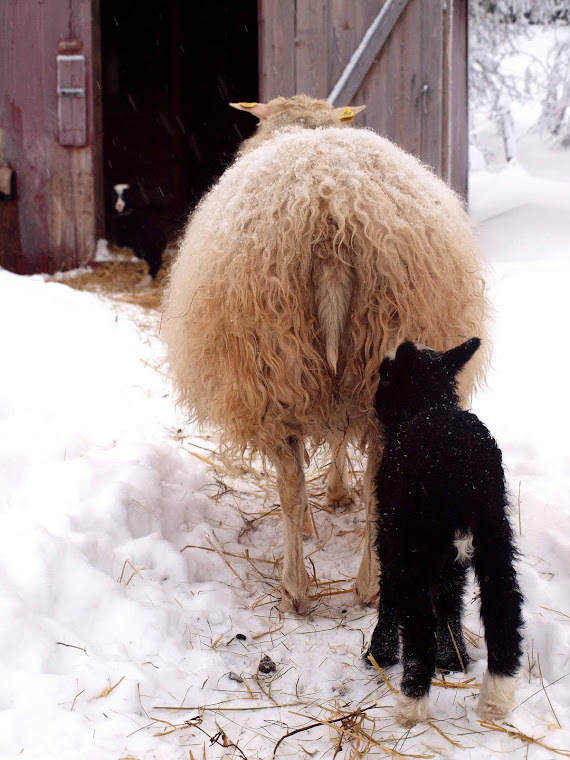 Norrfrid sheepskin are prepared in our sweet home, by hand in a traditional way with alum and salt. 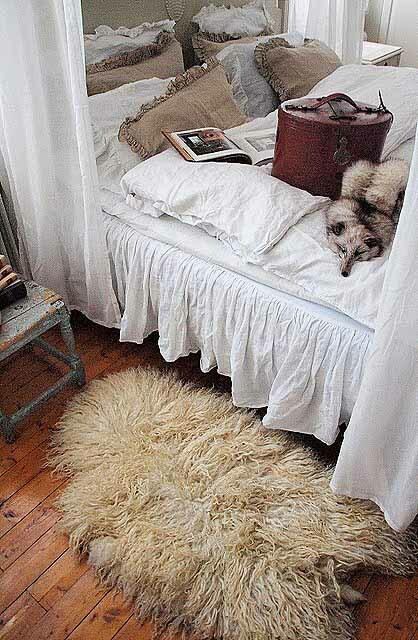 A very environmental fiendly method to compare with the industrial treatment using chemicals such as chrome.